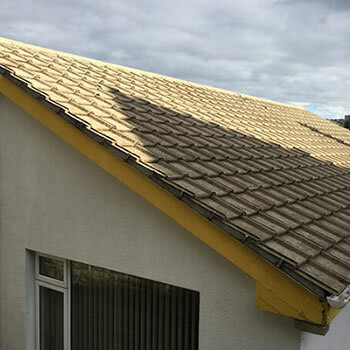 We are the Biowash authorised agents for low pressure roof cleaning in the following postcode areas above and currently have four trained operatives to carry out roof cleaning using this method. 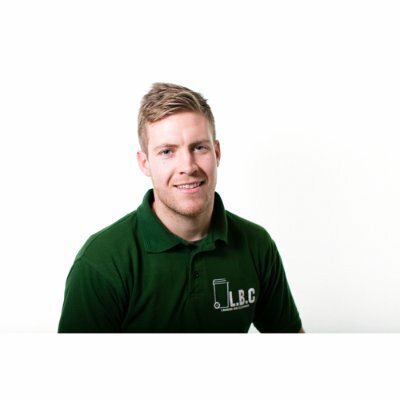 The company is also safe contractor accredited and has full employers and public liability, what differentiates us from our competition is that we strive to make the customer happy by delivering a level of service that is above and beyond the customer’s expectations. This can be seen by our 5 star reviews on many online platforms including Google, Facebook, Yell and Freeindex. Smartseal spent countless hours of research developing the best cleaning process and a solution for cleaning roofs without pressure. 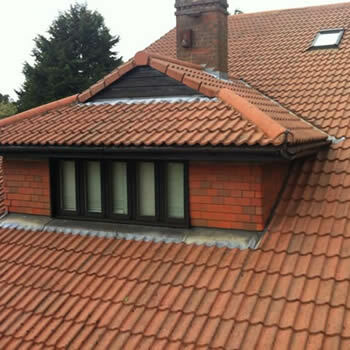 We have made it our mission to educate people on the importance of properly maintaining their roof tiles. 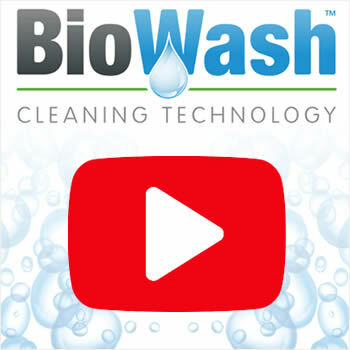 All our Authorized Agents listed in our service area have been specially trained in the process of cleaning roofs with the BioWash™ non pressure roof cleaning system and offer a professional service at an affordable price.The BioWash™ method does not allow the use of any pressure washers or any pressure greater than that of an ordinary garden hose in the cleaning process. All cleaning is carried out from the safety of the ground or a ladder, avoiding the need to physically walk on your roof. 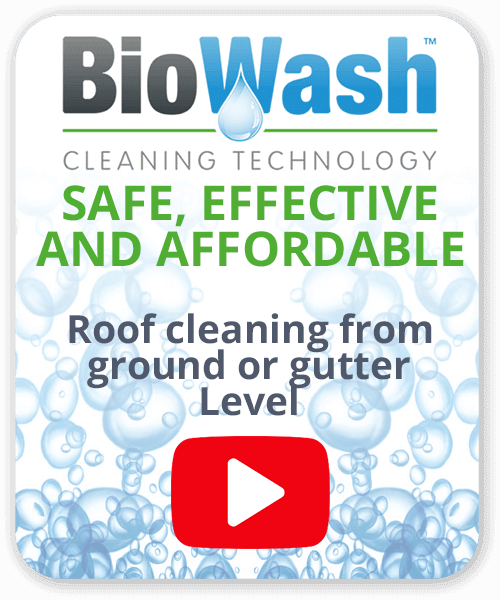 In addition, the cleaning and surface protector solutions we use have been specially formulated to remove damaging organic material without damaging the tiles.Our BioWash™ roof cleaning system has proven to be highly effective, resulting in stellar results! Its success comes from a cleaning solution comprised of mildew-cides, algaecides, and surfactants, being applied to the affected area, and given enough time to soak and kill the unwanted micro-organisms at their roots. After sufficient time, the surface is rinsed thoroughly with fresh water without the use of pressure. 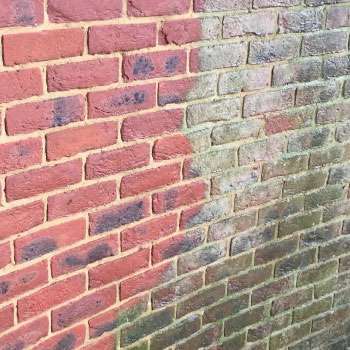 The solution is mixed on-site and to the specific needs of the surface to be cleaned.Our “Authorized Agents” take great care in leaving your property and landscaping completely unharmed leaving you with a longer lasting clean and more complete protection against premature re-growth. 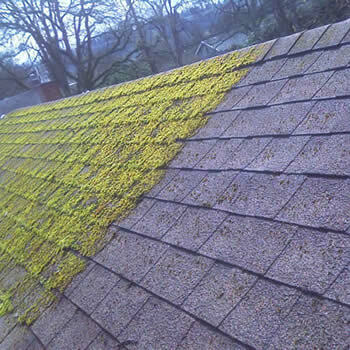 They pride themselves on their attention to detail so you can have the peace of mind that every inch of your roof will receive thorough attention and care.Our Professional Roof Cleaners operate throughout United Kingdom and by working with a “BioWash™ Authorized Agent” for your roof cleaning project, you can relax in the knowledge that you are dealing with a fully insured, established roofing cleaning company. Are you currently living in the property?